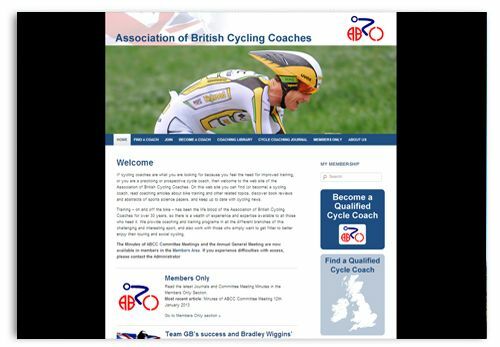 Designworks has developed a WordPress website for a national organisation, the Association of British Cycling Coaches. The Association provide coaching and training programs in all aspects and areas of cycle training, including road and off-road. The aim was to develop their website by streamlining and automating processes in order to save time for the organisation. Labour saving was achieved through automating the membership renewal process and enabling the Association to filter their database of members. Click here to read more about the project.